The launch of Consolidated Properties’ new 160 Macquarie tower in St Lucia, Brisbane, saw more than $17 million in prestige waterfront apartment deals posted. The development will ultimately boast 22 luxury apartments over 11 levels, with just two apartments per floor. The launch of the project saw purchasers obtain nine properties, representing 40 per cent of available stock, with four purchasers opting to buy two apartments to privately secure a whole floor. Lachlan Grantley, Consolidated Properties’ Managing Director of Residential, linked the success of 160 Macquarie to the resurgent demand for high end property in Brisbane. “160 Macquarie was really a tester for the market in a sense, because it has really been a good few years since we have seen any new product like this aimed at the high-end owner-occupier market rather than investors,” he said. Mr Grantley said the development is the first new high rise in the exclusive Macquarie Street precinct in 20 years, with the riverfront location and prestigious reputation of St Lucia acting as a key selling point to purchasers. 160 Macquarie Street is being marketed by Place Projects, who recently completed a Riverfront Property Research report which found the value commanded by waterfront real estate in Brisbane. 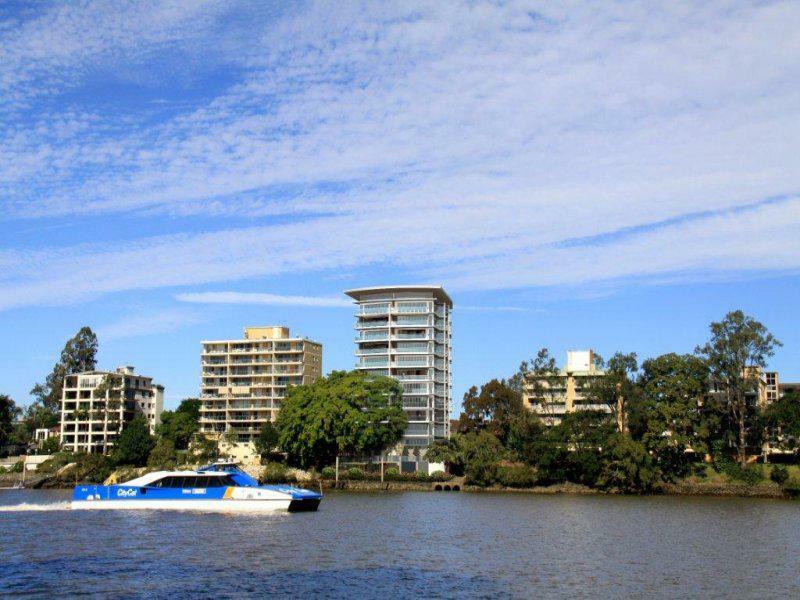 The report suggested the median sale price of riverfront apartments in Brisbane last financial year was $650,000 - a figure more than 63 per cent higher than non-riverfront property across the region, which recorded a median of $400,000. It also showed that 51 per cent of Brisbane’s riverfront sales in 2012 were apartments priced from $1 million to $2 million. Place’s Inner Brisbane Apartment Market Report from the March quarter highlighed that the inner city apartment market was the best it had been in nine years. A total of 625 unconditional off-the-plan apartment sales in the past three months translates to the best selling season since the September 2004 quarter. Bruce Goddard, Director of Place, said the above factors combined meant that 160 Macquarie was in a very strong position to garner buyer demand for new riverfront apartment product. “It’s the right type of project being delivered to the market at the right time - it really ticks all of the boxes in terms of current trends and future needs. “The riverfront lifestyle still commands a premium in all areas of Brisbane - but our latest research shows that the south-west precinct - taking in St Lucia - is likely to become the next hotspot for apartment development,” said Mr Goddard. He also noted that 160 Macquarie hits the mark in terms of pricing, with recent riverfront sales taken into consideration, as well as the availability of two and three bedroom apartments. “This is significant because while around 47 per cent of approved future inner city apartments will be two bedroom stock, only eight per cent will offer three bedrooms - so there is really limited opportunity for those who want a more spacious abode right on the riverfront. “With a premium and centrally positioned site, quality build and value in terms of pricing, 160 Macquarie has a solid platform for future growth,” said Mr Goddard.